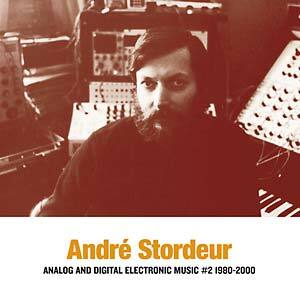 Selected unreleased works by André Stordeur, a key composer of Belgian electronic music, recorded from 1980 to 2000. Perfect complement to Analog and Digital Electronic Music 1978-80 (2015). 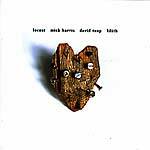 Released as part of Sub Rosa's Early Electronic series. 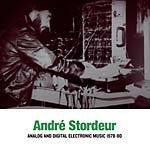 Belgian electronic music composer André Stordeur, born in 1941, started his musical career started in 1973 with a tape composition for the soundtrack to a film on Gordon Matta-Clark titled Office Baroque (1977). Later in the 1970s, he participated in the avant-garde music ensemble Studio Voor Experimentele Muziek, founded in Antwerp, Flanders, by Joris De Laet. Since 1980, Stordeur has composed exclusively on a Serge synthesizer, either a Serge series 79 and a Serge prototype 1980, which was especially built for him by Serge Tcherepnin himself. In 1981, Stordeur composed the music of Belgian documentary Du Zaïre Au Congo (1981) by director Christian Mesnil. He studied at IRCAM in 1981 with David Wessel and then flew to the US to study with Morton Subotnick. Stordeur became an influential sound synthesis teacher and, in 1997, completed his Art of Analog Modular Synthesis by Voltage Control (2010), a guide to everything modular.